I find it interesting to understand the problems a client faces and the actual design process that is involved in constructing an alfresco design. This is why I thought I would include an outline of an alfresco extension that was built for a Melbourne resident. Every customer is different and therefore the requirements can range dramatically. Take this client for example, they wanted an alfresco extension that would seamlessly blend into the existing look and feel of their house. In essence, they wanted to extend their living area but at the same time give the impression that it was part of the original building. A pretty tricky scenario, but this was how it was done. In order to provide this design, skilful planning and the use of vast amount of experience came together to provide an inviting outdoor space that now provides natural light to flow through the windows and at the same time providing that much-needed protection from the weather. 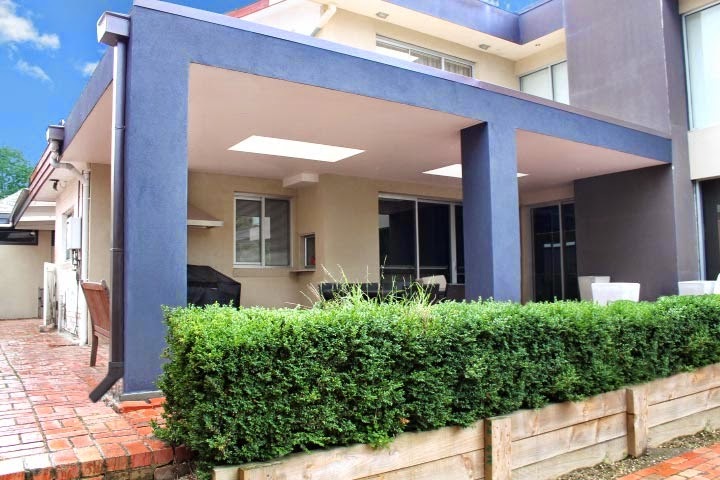 Custom Outdoor Living are outdoor living specialists with over two decades of building experience, providing many of Melbourne’s residents with high quality building work. Before anything was started, they sat down with the client to consult with them and ensure they fully understood the clients requirements. Brad Volling, the design and sales consultant was then able to provide a design that enabled the clients to visualise the overall concept. Considerations included aesthetics, colour scheme and other constraints that needed to be taken into consideration. Using cutting-edge technology he was able to construct a beautiful concept, that helped the client to fully understand the overall design leaving no guess-work at all. Design factors included skylights to help illuminate the floor below, a built-in barbecue, easy access from the sliding glass doors, LED lighting which is energy efficient, added privacy by closing down any visual access from the neighbours next door and adding some much needed warmth with solid plastering, square columns which are rendered and essential guttering to help drain off any excess water. There are many builders out there, but what separates a good builder from a bad one, is their ability to listen to their clients, understand the requirements, and provide cutting-edge concept designs which take all of their concerns and desires into consideration. On top of that the quality of work that is provided is essential and Custom Outdoor Living provide extremely high quality finishes to all of their designs, regardless of whether it’s an alfresco design, pergola, verandah or carport. If you live in Melbourne, feel free to contact them to arrange a home visit and see what they can do for you. Have just set up a new blog that is dedicated to bringing alive the fun of outdoor living! Many of us have beautiful houses and live in climates we’d like to make full use of, so if you want to extend your living space, or simply improve the look and value of your house, then why not consider an extension, or utilise your garden space?